One of the things we have always prided ourself with on this blog is teaching you simple ways to enhance the flavour of your food as well as cooking techniques. It is one thing to learn recipes, but it is yet an entirely different thing to learn how to cook. I used to crave the formal cooking knowledge as I learnt to cook by hand in the way all traditional cultures teach- through experience, passing down from one generation to the next. Learning to cook was no more fanfare than learning all the other life skills and doing all the other chores necessary in the home growing up. There was so much that I learnt from the women in my family and gleaned from other keen cooks but I still desired more structured learning to be able to go outside of my traditional Jamaican and Caribbean cuisine and tackle the unfamiliar. I guess that is one of the reasons I ended up marrying a chef (still our most popular post, from which many spin-offs have launched). 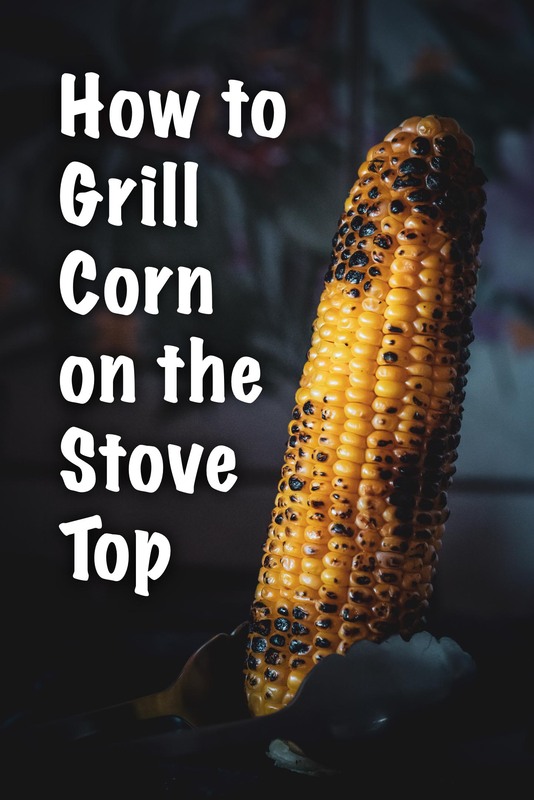 This week, in our Cooking Class series, I am going tackling a simple thing with a profound result- how to grill corn on the stove top. The one time burning your food is absolutely the aim and not a fail. You need a gas stove. Electric cooktops and induction cookers will not do. If your corn has eaves, pull them back and strip off all the hairs as well. You can either cut them off completely. Grab some high quality stainless steel tongs. Do NOT use wood, plastic or other flammable tongs. BBG tongs are perfect as well. Char/ the corn all over. Don’t be afraid if it looks burnt. Just don’t turn the thing into a complete rod of charcoal by leaving it unattended. In fact you have to watch this and keep on turning it to distribute the heat evenly around the entire corn. Serve will salted butter or shave off by standing cooled corn on cutting board and shave off with sharp chefs knife. 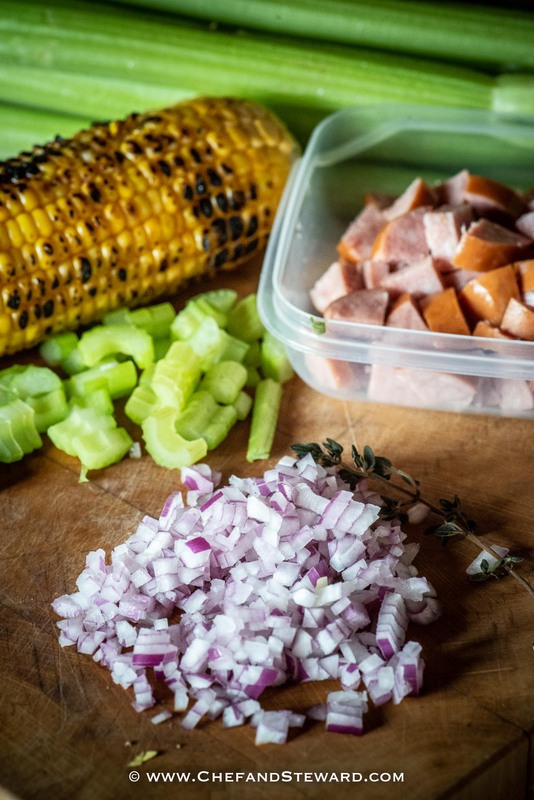 Add shaved corn to salads or other dishes to impart a nice smokey flavour. I ended up using my roasted corn in another recipe that I pretty much made up utilizing things I had in the fridge. That’s one of my favourite ways to push my creativity in the kitchen and come up with new recipes. 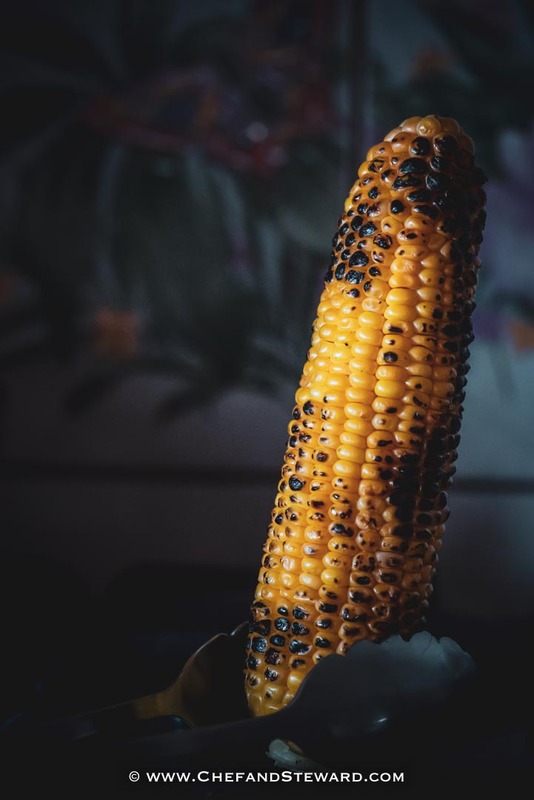 How do you like your roasted corn? I love grilled corn! This looks yummy! Never thought of grilling cornon the stove top. Great idea. Def want to try it! Yes, you should Jacqueline! And it is so quick and easy and no cleanup necessary! I’m so glad we have an outdoor grill to do this on, because my stove is a ceramic cooktop. Looks amazing! It’s good that you do have an outdoor grill to compensate for the ceramic cooktop. I just love cooking with fire! THat’s what I love about this… it is so practical. Whether for a snack or to take salads and tacos to another level. It’s just easy, breezy and no clean up. 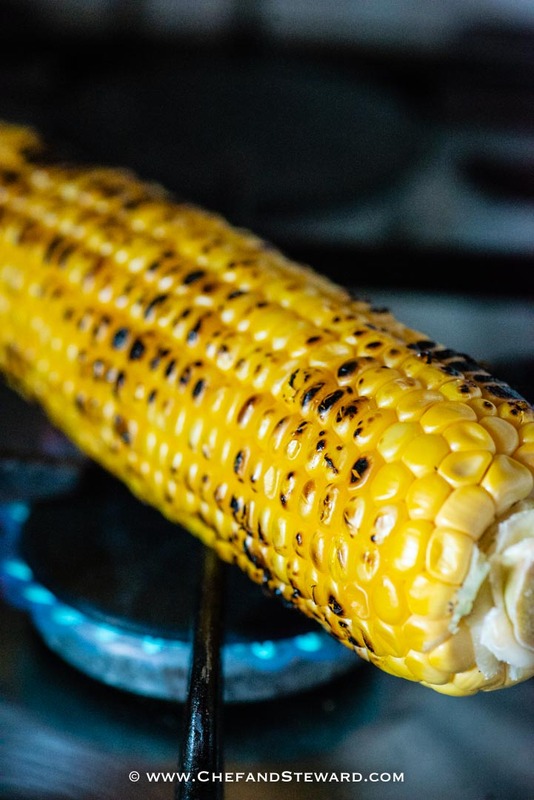 Roast corn was one of my favorite dishes to make in Barbados. Never in a million years would I have thought to do this. Thank you in big gigantic bunches! Sandra, thank you ever so much for your very useful feedback. I feel like I am back to myself after lots of international moves over the past two years and it is great to have this community. I’ve never thought to grill corn on the stove but what a genius idea! 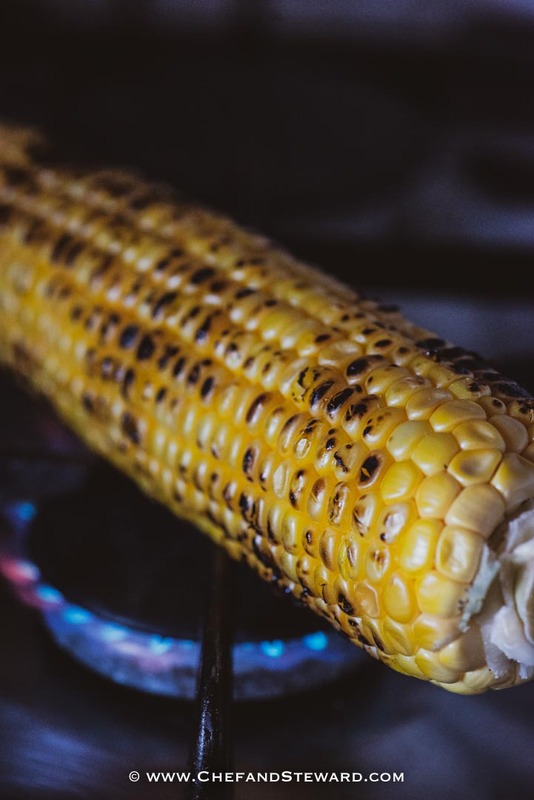 I just love the flavor it gives to the corn, and I’ll be using this method plenty from now on. Thanks for sharing! The best part? No grill to clean!